As of now, a prospective merger between Jewish Home and National Union is off the table, after a failed meeting between the leaders of the two parties Motzoei Shabbos. Meanwhile, a report Sunday said Prime Minister Binyamin Netanyahu was exploring bring Jewish Home into the Likud – and was even prepared to offer party head Rafi Peretz the education portfolio as part of the deal. Polls in recent days have shown that parties on the religious right – Jewish Home, National Union, Otzma Yehudit and others – will not achieve enough votes to pass the electoral threshold if they run alone, but together they will be able to garner as many as 13 seats, according to a poll by the Miseker institute. The representative poll of 5,000 Israelis shows the latter result if three aforementioned parties, along with Eli Yishai’s Yachad join together. Running alone, none of the parties would get into the Knesset. A Channel 12 poll over the weekend showed similar results; unless there is unification among these parties, none will make it into the Knesset. But according to a report on Kan News Motzoei Shabbos, accomplishing that may be more difficult than expected. A meeting between Rafi Perertz, head of Jewish Home, and Betzalel Smotrich, head of National Union, broke up after just five minutes. The meeting was supposed to include an initial discussion on unification. There are no current discussions on the matter, the report said. 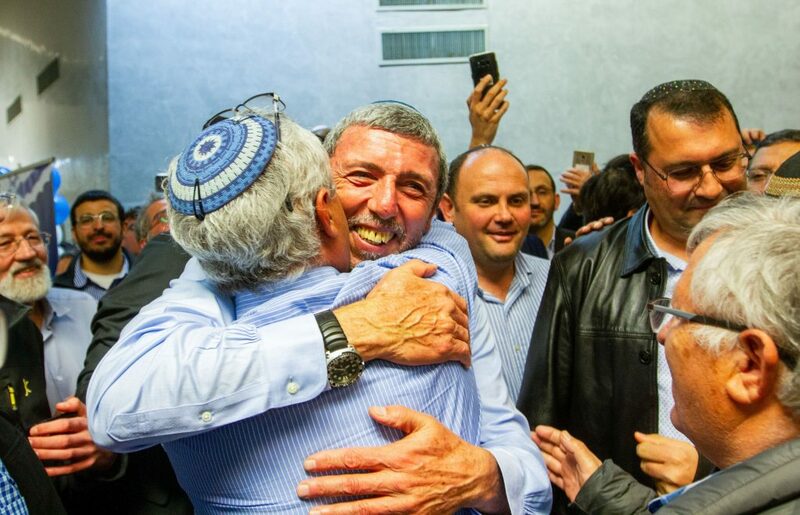 The disputes between the party revolve around who will lead the list, and which of the two – Peretz or Smotrich – will receive a ministry position in the event the party joins the government. Meanwhile, Arutz Sheva reported Sunday that Peretz and Netanyahu have been discussing a deal of their own, in which Jewish Home would join with the Likud. Peretz would get the education portfolio, and Jewish Home candidates would be placed in the 21st, 28th and 36th slots on the Likud list, which were left open by Likud members for discretionary choices by Netanyahu.